Holiday Inn Express Hotel & Suites Decatur Relax and enjoy your stay at Holiday Inn Express Hotel & Suites Decatur, conveniently located just five miles from Decatur Airport (DEC). Our Decatur, Illinois, accommodations will please the entire family with their close proximity to major area attractions. 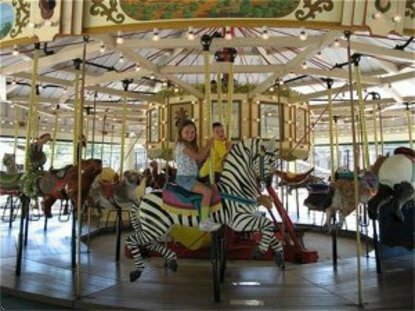 A visit to Scovill Zoo can provide a wild and entertaining visit, as it features many different animals and plant life. Other scenic attractions near our hotel in Decatur include Lake Decatur, the Scovill Oriental Gardens and Sand Creek Recreation Area. For those who like to shop, head to Forsyth Mall or the many different antique centers around Decatur. If youre in town on business, our Decatur hotel is conveniently located to Decaturs major businesses such as ADM, Caterpillar, AmerenIP,Tate & Lyle, and Muellers. With easy access to these major businesses, you can make it on time to all your meetings. A complimentary hot breakfast bar featuring our world famous cinnamon rolls gives you the chance to start your day right. Take advantage of our amenities that include a heated indoor pool and whirlpool and fitness center. You can easily stay connected with complimentary high-speed, wireless Internet access throughout our hotel and complete any unfinished work from our on-site business center that offers printing and copying services. Stay Smart at our Decatur, Illinois Holiday Inn Express hotel. This hotel is committed to providing accessible facilities under the American Disabilities Act. If your accessibility needs are not met, please contact the Hotel Manager on Duty. Should you require additional information regarding accessible facilities for guests with disabilities, please call 1-800-Holiday (U.S. and Canada) or contact the hotel directly. For the hearing impaired, TDD service is available at 1-800-238-5544 within the U.S. and Canada.